campaigns, starting with the race for U.S. Senate in 1964, and for U.S. President in 1980. 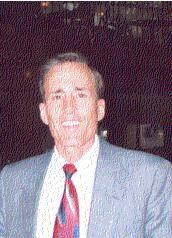 Republican Governor of Texas, and in 1984 as co-chairman for Phil Gramm for U.S. Senate. In 1984 Ruth moved to Washington, D.C. and later served under Presidents Ronald Reagan and George Herbert Walker Bush as adviser to the U.S. Peace Corps. liaison to the White House for American Christian Trust and on the Board of Directors for the National Prayer Embassy. Ruth has also been an active worker and/or leader in several other Christian ministries, including A.D. 2000, Campus Crusade, Every Home For Christ, Joni and Friends and Nora Lam Ministries. represent the National Council on Bible Curriculum in the Public Schools and became a Board Member in 2005.
praying for our nation. Ruth praises Him daily for His favor and grace. world: South Africa, Australia and New Zealand, Europe, Russia, China, Southeast Asia, South America and Israel. to Wilmer Mizell, a retired World Series-winning baseball pitcher and three-term U.S. congressman and political appointee under three U.S. Presidents. Ruth has a large extended family, including children, stepchildren, grandchildren and great grandchildren. Five generations have loved and served the Lord Jesus Christ. host church for the National Prayer Embassy in the Washington, D.C. area. Trust in D.C., and from 1988 to 1992 they served together on the founding Board of Directors for the National Prayer Embassy. Prayer Embassy, which Jeff has directed during that time. 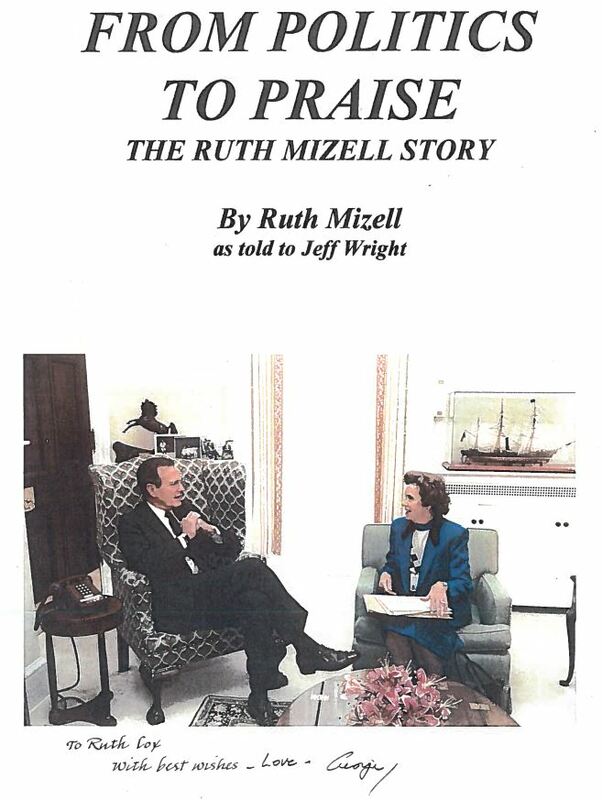 Jeff invited Ruth to bring the main Sunday morning message to his church on April 17, 2005, which became the basis for this book. 3) those wanting to grow more spiritually. reading it as we did writing it! Chapter Six: The Move to D.C.
Chapter Seven: Miracles in D.C.
CLICK HERE FOR FREE DOWNLOAD OF "FROM POLITICS TO PRAISE"